Adam Lankford, one of the nation’s leading academics who studies mass shootings, said he respects Ghansah and her skillful work, because in-depth investigations like this piece can help scholars find patterns and create solutions to the nation’s mass shooting epidemic. But, he added, he wishes Ghansah knew how dangerous it is to publish mass shooters’ names and photos. The first step is learning about the research. Even those journalists who know about some of the research don’t realize “how compelling and persuasive it is,” Lankford said. “It’s more than just anecdotal evidence. It’s not just speculative,” said Lankford, a criminology and criminal justice professor at the University of Alabama. Lankford wrote that fame-seekers on average killed seven victims and wounded eight — more than twice the victims of other mass shooters. The number of fame-seeking shooters has grown from just one in the 1960s up to 15 since 2000. Lankford predicted that number will keep growing, and fame-seeking shooters will try to kill more people, knowing more victims mean more media attention. They’ll also innovate new ways to earn more media — for example, hitting unimaginable targets such as in 2012 at Sandy Hook Elementary School. As for photographic coverage of mass shootings, newspapers are publishing far more photos of perpetrators than victims — by a ratio of 16 to 1, according to research by Dahmen, the journalism professor, who researches media coverage of mass shootings. Following 2007’s Virginia Tech shooting, in which 32 people died, 95 percent of front pages had a photo, often in the lead story. For 2012’s Sandy Hook shooting, which killed 26 — many children — 90 percent of papers had front-page, lead story photos. After 2015’s Umpqua Community College shooting, which took nine lives, just 35 percent of papers had front-page photos. Maybe it had less coverage because fewer people died, Dahmen wrote. Dahmen’s article about shooter and victim photos was published Feb. 14, the same day a mass shooter opened fire and killed 17 people at Marjory Stoneman Douglas High School in Parkland, Florida. 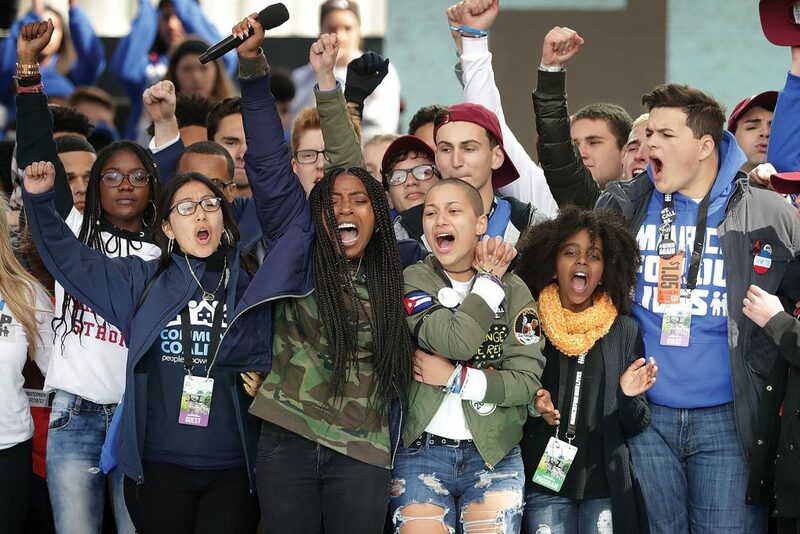 Researchers and advocates of media reform have said that the press did a good job of reporting on the Parkland victims and survivors — who have become vocal, effective advocates for gun control. 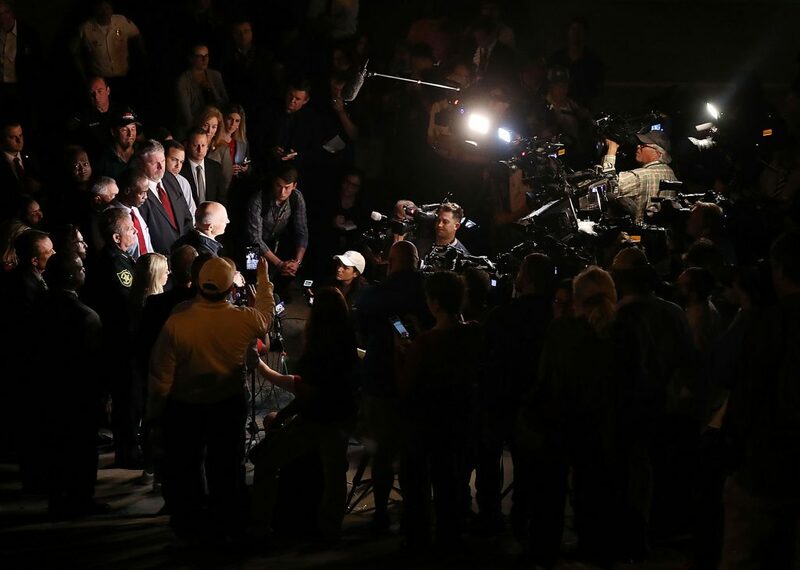 However, as with all other coverage of mass shootings, the name and image of the killer have been reported far and wide, and they continue appearing frequently in the pages of the local newspaper, the South Florida Sun-Sentinel. Sun-Sentinel Editor-in-Chief Julie Anderson didn’t return a message seeking comment. I don’t know the shooters name and don’t want to. If you agree, anytime you see a post with their name or face from news organizations post #NoNotoriety with one of the victim’s names. We make these sick people known worldwide for their horrifying acts, let’s stop that. Early efforts came from victims’ advocates with the group “No Notoriety” and the “Don’t Name Them” campaign, a partnership of Texas State University’s Advanced Law Enforcement Rapid Response Training center, the I Love U Guys Foundation and the FBI. Lankford and his research partner, Eric Madfis, recently released a new, scaled-back proposal. Tom and Caren Teves, who founded No Notoriety after their 24-year-old son, Alex, was killed in the 2012 Aurora, Colorado, movie theater shooting, said they support coverage that explains how and why mass shooters commit their crimes, just with strict limits on using the name and photo. They urge a focus on stories about victims, survivors and heroes — and say this has improved about media coverage over the years. It’s much harder to convince journalists to limit a perpetrator’s name and photo. Dahmen, the journalism scholar, explained that the challenge in asking journalists to stop publishing shooters’ names and images is that it’s a standard journalistic practice to report the “who” in a story. “In journalism 101 you learn: who, what, when, where, why and how. ‘Who’ is the first thing,” Dahmen said. She has conducted research that indicates that change is likely to be slow. She and three co-researchers in 2016 surveyed 1,300 journalists about their opinions on mass shooting coverage and found that most respondents were in favor of perpetrator coverage, strongly supporting naming the perpetrator and including his photo in stories. 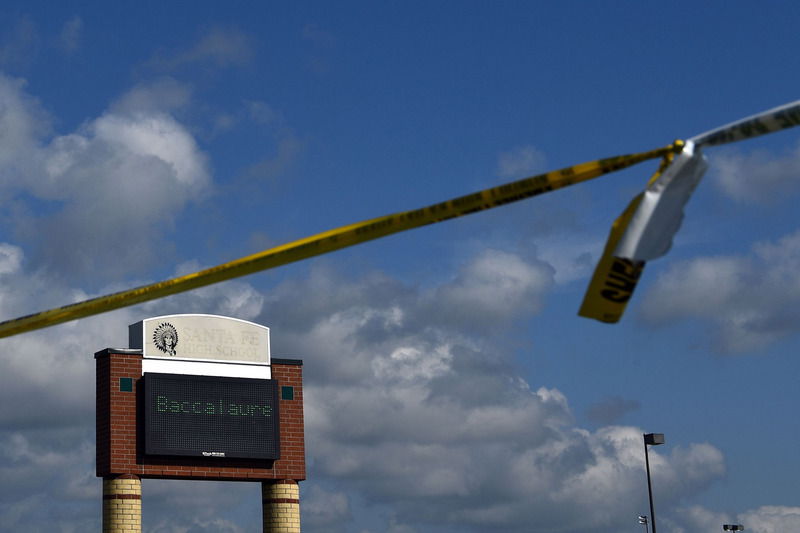 Journalists largely didn’t acknowledge or were ambivalent about the contagion effect of their coverage, said the article, “Covering Mass Shootings,” published in May 2017. As any good journalist knows, there’s always more than one side to a story. The other side here comes from the reporters and editors who’ve seen the ways that stories about mass shooters — and printing their names — can benefit the public. Silvia Foster-Frau, the San Antonio Express-News’ lead reporter for the 2017 church shooting in Sutherland Springs, said publishing the gunman’s name prompted two women from the killer’s hometown to call and report that he sexually assaulted or harassed them in high school. “By knowing about this past, [reporter Sig Christenson] was able to identify this flaw in the system and hopefully prevent something like this from happening again,” Foster-Frau explained.